Last month, I have been experimenting the Chinese Chili crisp with all my recipes, and this one has turned out to be super addictive! Absolutely love it. My guests at the thanksgiving dinner also loved it. Best Chips ever!!! 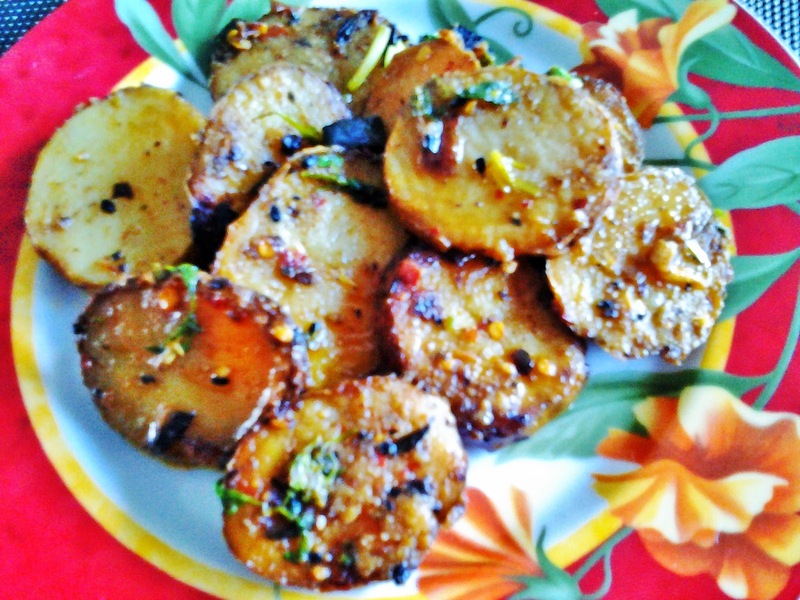 Slice the parboiled potatoes into medium slices. I prefer to leave the skin on the potato for the added crunchiness, but this is optional. You can peel them as well. Heat a pan, add the oil. Then add the ginger, rosemary and green chili, and potatoes and sauté for 3 to 4 minutes. Add salt and the chili crisp and sauté for another 2 minutes. Serve!